Taking bets on whether the trend makes it stateside. 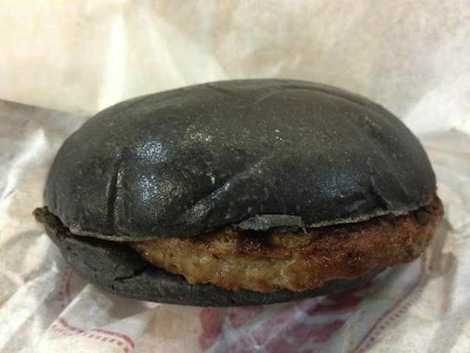 All-black ramen burger?! 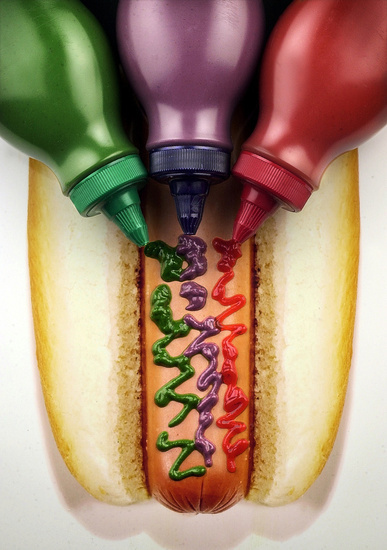 Americans may have tried to make weird-colored ketchup a thing, but in general we don’t tend to mess with the expected (if not necessarily natural) hue of our meals. 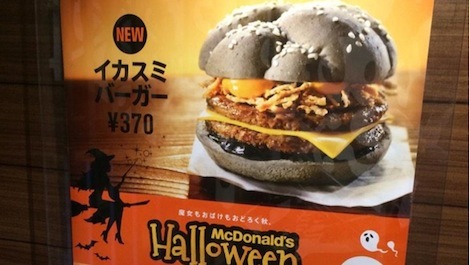 The Japanese have no such qualms when it comes to food modification though, as is evidenced by a recent trend toward pitch-black junk food. 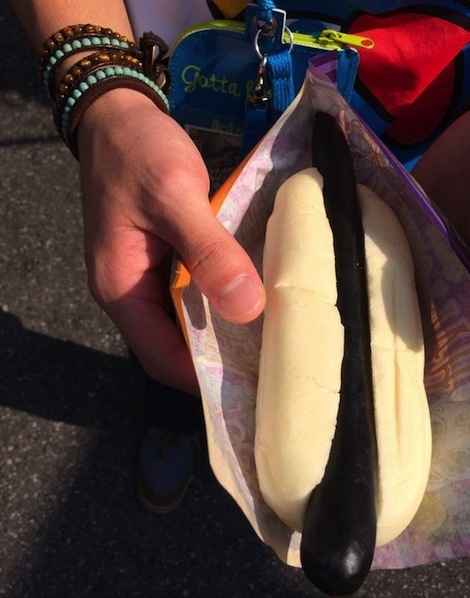 Last year, Tokyo’s Vegas Premium Hot Dogs gained a cult following for its Black Terra Hot Dogs, featuring a 30-centimeter wiener and jet-black bun both died using edible bamboo charcoal powder. 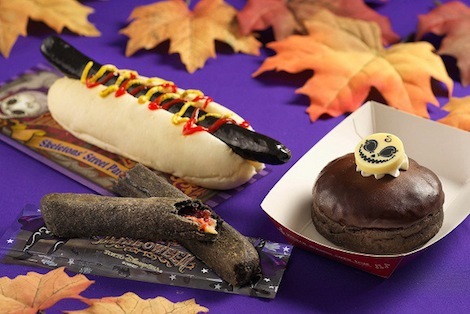 This fall, larger chains have been jumping on the all-black-everything bandwagon, creating their own murdered-out menu items: the Burger King Kuro Burger, the squid-inked McDonald’s Halloween Burger, and Tokyo Disney Sea’s spooky seasonal specials. But the reality, seen through reviews and social-media posts starting to circulate around the web, is a different story. 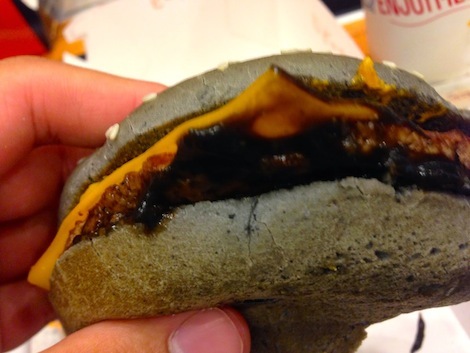 The black in those buns often reads as gray-ish charcoal, like you’re eating a piece of burnt coal. And it turns out that a pitch-black hot dog looks more like a night stick than a sausage.